Gemini, an esteemed manufacturer of DJ and Pro Audio equipment, is pleased to exhibit the GMX Pro, a full featured media controller within a compact form factor. Gemini will give NAMM attendees a chance to see their new product and take it for a test spin at Booth 5700 Hall B. 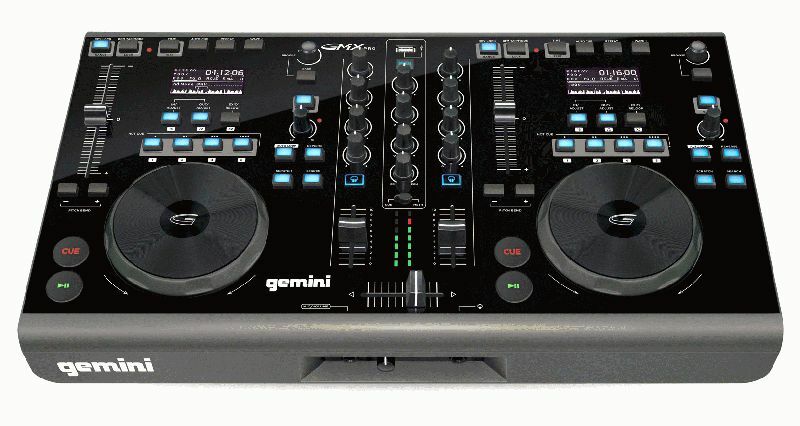 The GMX Pro is a versatile media controller for the DJ who desires portability and multi-functionality. DJ’s can playback tracks from a single USB drive or from a laptop as a versatile software controller for Virtual DJ or another host application, the newly designed touch-sensitive mechanical jog wheel and high-resolution 14-bit USB/MIDI digital signal ensure precise and intuitive control over every aspect of playback, mixing, and effects.